Stay comfortable all through the day and flaunt your amazing body shape by wearing this waist cincher designed by Enamor. It comes with zip closure at the front that offers a snug fit. Besides, the use of a premium quality fabric renders a soft feel against your skin. It also comes with a self pattern that enhances its design. 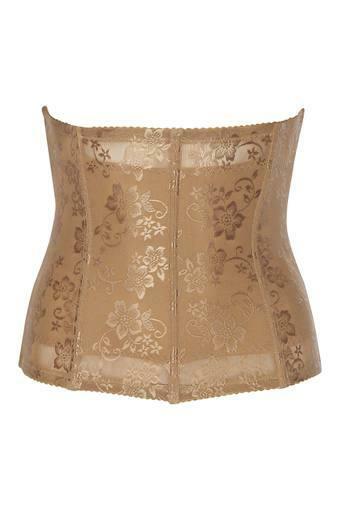 Wear this waist cincher and give your body an amazing shape. This shapewear has been crafted using a premium quality fabric that allows maximum breathability and makes it easy to clean and maintain.